CANTON, Mass. (September 2, 2014) – As Dunkin’ Donuts continues its national, westward expansion, the brand is making one of its boldest additions ever to its coffee lineup, unveiling a new Rainforest Alliance Certified™ Dark Roast Coffee. The new Dark Roast, developed by Dunkin’ Donuts’ Coffee Excellence team over the past several years, uses a unique roasting process to bring out key characteristics of different beans, creating a bold flavor and the smooth finish associated with Dunkin’ Donuts’ famous Original Blend, but without the bitterness typically associated with most dark roast coffees. Dunkin’ Donuts introduced Dark Roast at its first two new full expression restaurants in California. These restaurants are in Modesto, which opened last week, and Santa Monica, which opened this morning. 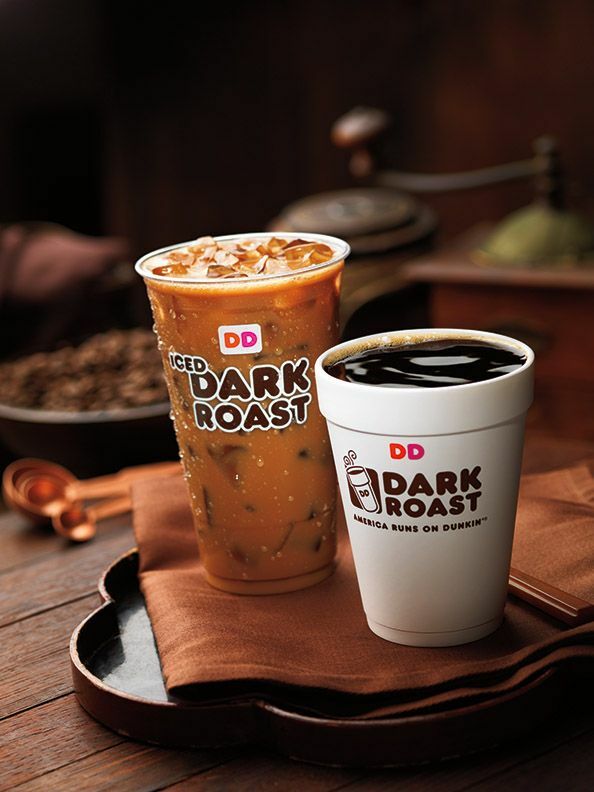 Dunkin’ Donuts plans to make the new Dark Roast available at participating Dunkin’ Donuts restaurants nationwide beginning on Monday, September 22. Dunkin’ Donuts guests can enjoy the new Dark Roast served either hot or iced. It will also be available for sale for brewing at home in both packaged coffee and in K-Cup® packs, for use with Keurig® Brewing systems. The Rainforest Alliance Certified seal indicates that Dunkin’ Donuts’ new Dark Roast is made with at least 30% coffee beans sourced from Rainforest Alliance Certified farms. The Rainforest Alliance is an international nonprofit organization that works to conserve biodiversity and ensure sustainable livelihoods. Rainforest Alliance certification helps to protect wildlife; safeguard soils and waterways; and improve quality of life for workers, their families and local communities in order to achieve true, long-term sustainability. This marks the third time Dunkin’ Donuts has introduced a Rainforest Alliance Certified product this year. In April, the brand launched Iced Green Tea featuring the Rainforest Alliance Certified seal, and earlier this month Dunkin’ Donuts introduced Rainforest Alliance Certified Colombian Packaged Coffee, the brand’s first-ever single-origin packaged coffee. According to The NPD Group / CREST®, Dunkin' Donuts serves the most hot traditional and iced coffee in America, selling more than one billion cups of hot and iced coffee every year. Dunkin' Donuts uses 100% Arabica coffee beans, and the company's coffee specifications are recognized by the industry as a superior grade of coffee. Dunkin' Donuts has earned the No. 1 ranking for customer loyalty in the coffee category by Brand Keys for eight years running. To learn more about Dunkin’ Donuts, visit www.DunkinDonuts.com or follow us on Facebook (www.facebook.com/DunkinDonuts) and Twitter (www.twitter.com/DunkinDonuts).